Presenting an app for Seattle Open Data bicycle counters. Click the link to go to an interactive data tool for bicycle and pedestrian counts using Seattle Open Data from data.seattle.gov. 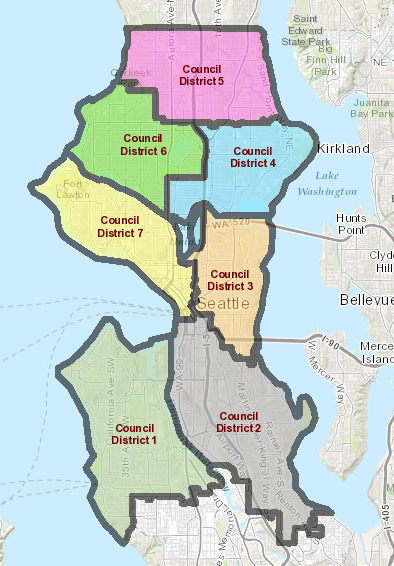 Water transects and surrounds Seattle. This is a city with bridges, and a city with ample maritime traffic, be it trawlers, barges, sailboats, yachts, kayaks, or even stand-up paddleboards. (Pro tip SUPers: don’t tackle the Montlake Cut during yachting hours, it goes poorly.) Tall freeway bridges arc over the Lake Washington Ship Canal, the Duwamish waterway, towering over tiny boats below, but many smaller bridges must open to accommodate marine traffic. Last month Seattle Director of Transportation Scott Kubly announced plans to seek Coast Guard permission for limiting pleasure craft bridge openings. The Seattle Times story is here. The relevant SDOT page is here. Many commuters are probably familiar with the somewhat predictable 6pm opening of ship canal bridges: while federal law stipulates priority for maritime over vehicular traffic, openings are not allowed during commute times of 7-9am and 4-6pm. However, the evening commute is clearly still in force at 6pm, and so these openings predictably snarl traffic. Should a single, recreational sailboat be allowed to significantly disrupt the commute? I mean, it sounds kind of silly, hence the push to further restrict pleasure craft openings.